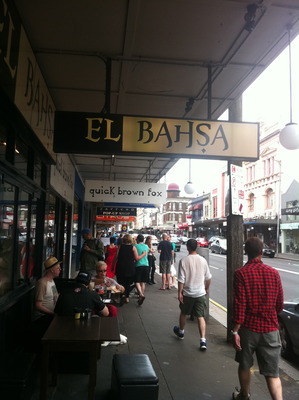 El Bahsa provides great Lebanese inspired food. It was great to come here with a friend on a leisurely afternoon during the week and we got to know the owners, and they (deep down) are extremely nice people. Otherwise the experience was a blur. The meal I had was satisfying, and was quite filling and paved the way for a great afternoon. 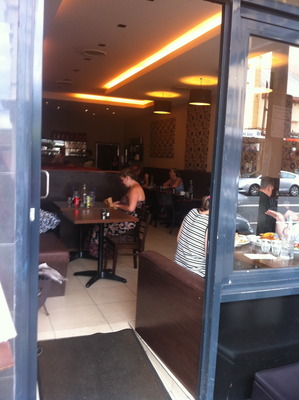 The ambience is open, spacious and inviting with a great decor. Come to this establishment with great company and you will not be disappointed. After having done the latter, it will be extremely difficult coming here on my own down the track. The drinks are unique: think Turkish lemonade, and for dessert one could not pass up a few chunks of Turkish delight, just as great as the Turkish delight served in a pizzeria in nearby Enmore. 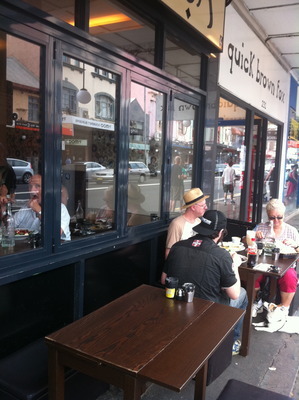 Deep down, all in all, I can say that you have to be in the mood to want to eat out to appreciate this establishment, and it is also advisable to come here during your downtime, when you know that you should and that you need to take some much needed and valuable time out for yourself.